Good-value Wanhao UV-DLP resin is ideal for 3D printing on your DLP and UV LED 3D printer. Both 3D printing technologies use UV light sources. These polymerize the liquid resin by exposure it to 405 nanometer UV light. Low cost resin Wanhao UV-DLP resin is particularly suitable for processing on your DLP and UV LED 3D printer. Both 3D printing technologies work with UV light sources. These polymerize (solidify the resin by chemical reaction) the liquid resin by the action of UV light with a wavelength of 405 nanometers. The high-energy UV light starts the photopolymerization of the liquid material. The polymerization causes the resin to change its state from liquid to solid. This process is repeated layer by layer until your component is 3D printed completely. For optimal 3D printing results, clean your objects in an isopropyl alcohol bath after the finished 3D print. Leave your parts in the isopropyl alcohol for about 10 minutes. The alcohol removes excess resin from your 3D prints. Then you dry your objects in the air. You let the dry component harden under UV light until the final strength is reached. As UV light source you can use UV LEDs or sunlight. When the object has reached its final hardness, it has a smooth and beautiful surface. 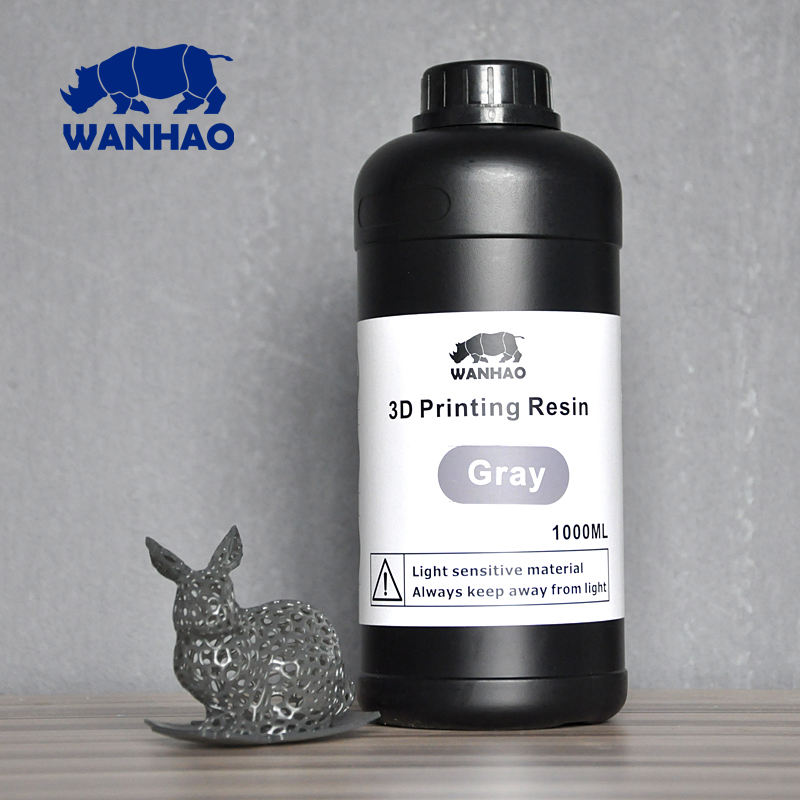 Buy Wanhao resin if you want a low-cost DLP or UV LED resin for your DLP or UV LED 3D printer. It is optimized for Wanhao's DLP and UV LED 3D printers and can also work on third-party systems.